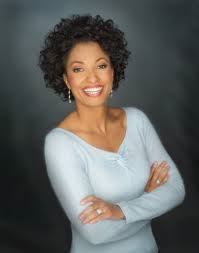 Rene Syler is a TV host, author, journalist, blogger and constantly-on-the-go mom of two! She hosts the Live Well Network’s show ‘Sweet Retreats’ where she helps travelers find the perfect locations for their family getaways, girls’ retreats and more.Rene first hit the national spotlight as anchor of CBS’s The Early Show before leaving the TV news world behind in 2006 to spread the message of perfect imperfection. It was around this time that Rene published the book Good Enough Mother and also hit the national headlines after undergoing a preventive double mastectomy (breast cancer is a cause for which Rene remains a tireless campaigner).Over the last 12 months Rene has been busier than ever: making guest appearances on The Nate Berkus Show, The Doctors, BET’s Mo ‘Nique Show, The Wendy Williams Show, new daytime talker Father Albert and taking over for Joy Behar as guest host of her CNN primetime series. Rene also makes numerous public appearances and speeches, was a headliner at Disney’s 2011 Social Media Moms’ conference, a spokeswoman for Women’s Day Magazine, contributes to TLC’s Parentables website and is a Content Expert for the baby products brand Evenflo. In the coming months René will also be a keynote speaker at the Blogging While Brown, Blogalicious and SheStreams social media conferences across America.